Established in 2001, family-owned and operated scaled artisan coffee chain Ground Espresso Bars has built a reputation for providing customers with high quality coffee, fresh handmade produce and stores created with comfort, friendship, happiness in mind. 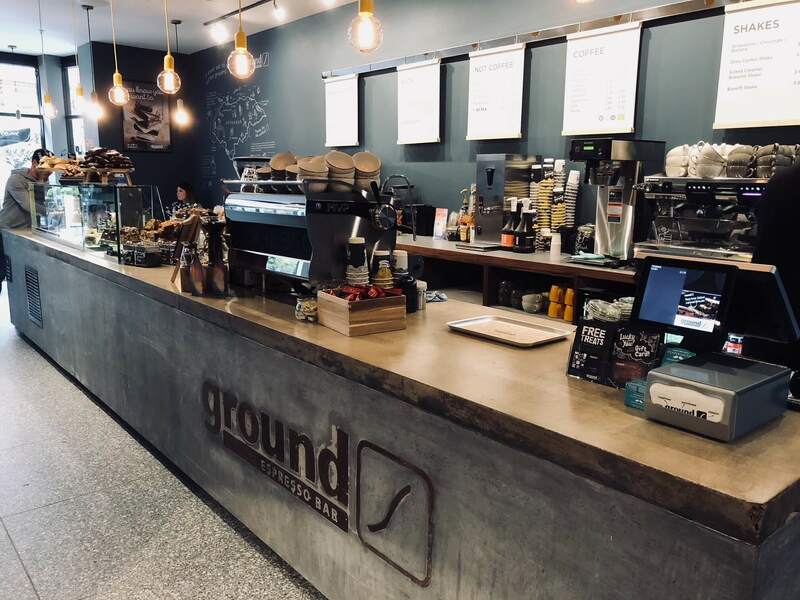 Whether you’re looking for a quick coffee fix and a sweet treat on the go or a catch up with family and friends, Ground in Victoria Square is perfectly suited for you. Come in store and meet our team of expert baristas and enjoy the wide selection of bespoke quality coffees and fresh treats on offer. Customers can also take advantage of the bench top charging points, free high speed WIFI, large community tables and free toddler toast and babyccinos for the little ones.